We're trying to connect to use the CloudBerry for Mac client to dump our data on an AWS snowball, but there doesn't seem to be an option in the Mac client to use a local snowball. Is it a Windows Only feature?
. This is possible if you use Snowball Edge (and not possible if you use the older version of Snowball). 1. Just create a new storage account of "S3 compatible" type and back up your data there. 2. Then when the data is delivered to Amazon and uploaded to S3, you will need to re-synchronize the storage account that points to Amazon S3. 3. After that you should be able to continue incremental upload straight to S3. Should you have any difficulties or questions in the process - feel free to drop me an email to glebdotbatcloudberrylabdotcom and I will make sure you get the answers. Thanks to both for the response. We have the "regular" snowball (not the Edge), so that's not an option. If we copy the data with the Amazon Snowball client and send back to load into the S3, will the CloudBerry client recognize it as "valid data" and only sync the changes or will it trigger all new upload? i.e. does the CloudBerry tag the file as "uploaded by CB" and not changed or is it just the file size/hash that triggers a "new file need to upload" situation? 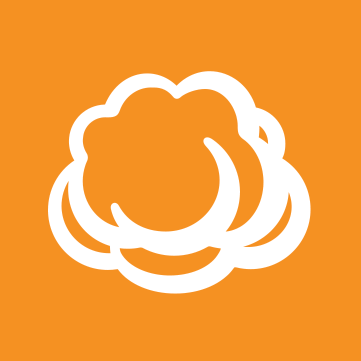 , CloudBerry doesn't use such tags, but it does create a specific folder structure within the cloud storage - so no, unfortunately the data will not be recognized as "valid data". If there's just several large files you can actually recreate the folder structure manually - but I bet there's thousands of them, and this will make it a nightmare. Hi - I have a similar need to Gary's - Just wanted to check if the latest version of the mac client (we're running 2.8.3.10) will backup to a Snowball not Snowball Edge? Mac backup agent can work with Snowball Edge via S3-compatible interface, despite the OS. for windows we used to support Snowball classic, but since AWS had updated its drivers we no longer work with it. And Snowball classic was never supported in mac/Linux agents. But it perfectly works with Snowball Edge. Yes. To be clear, we had ordered the snowball but we were unable to get it working with Cloudberry and we ended up sending the AWS Snowball back empty. That being said, we just used the Cloudberry Backup client and hammered the data up over the internet and it worked fine. it's now our daily backup software and working perfectly. , thanks for the update. Glad to hear it's all good now!